The Starter Kit is the best way to start making your own test cases with the OVVO connectors. 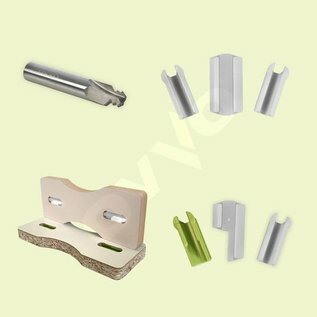 1 cutter for OVVO V-09 with a shaft of 12mm, suitable for all CNC machines and many handheld routers. OVVO V-0930 is suitable for materials of 12 mm thickness minimum. For extensive recommendations on minimum board depth in different materials, please click here.